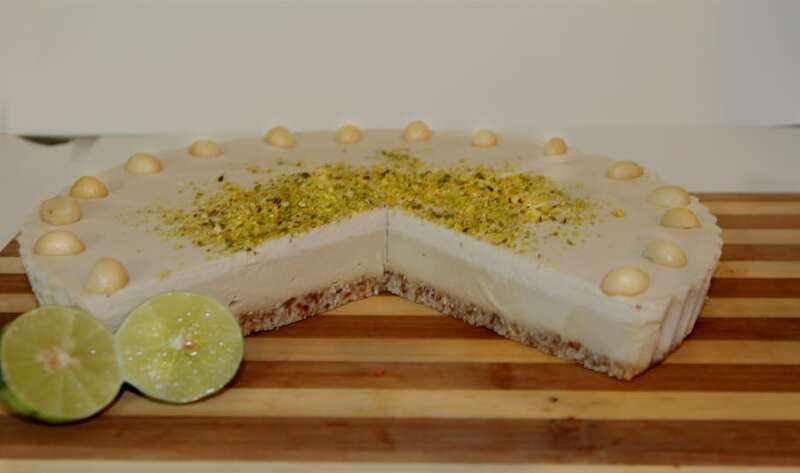 Tangy zesty creamy cool lime cheesecake on macadamia crunchy nut base. Many believe the macadamia to be the world's finest nut and it definetly fits well into this cake! 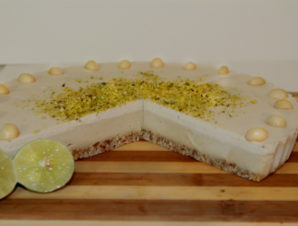 Tangy zesty creamy cool lime cheesecake on macadamia crunchy nut base. Many believe the macadamia to be the world’s finest nut and it definetl;y fits well into this cake!